My sister in law has a wall that she switches out photos for every season. It is such a beautiful and personal way to decorate for holidays. 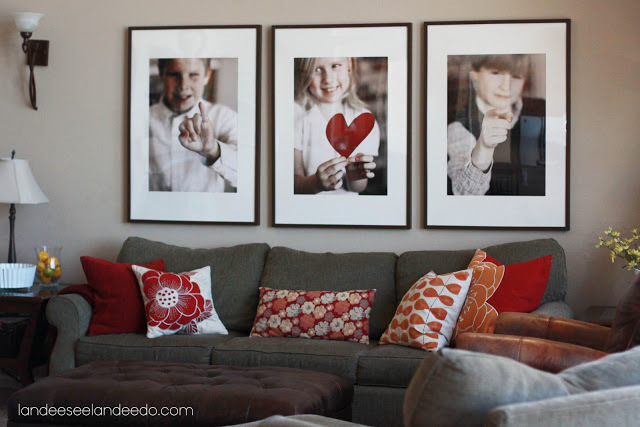 Landee has a similar wall and I am in love with her Valentine Photo Decoration idea. I wish I would have seen this when I had three kids! Now I have to figure out a way to incorporate for photos! You can check ou the rest of Landee's fun Valentine decorations over at Landee See Landee Do.